Can you tell I’m ready for summer? It’s time. I need it in my life. 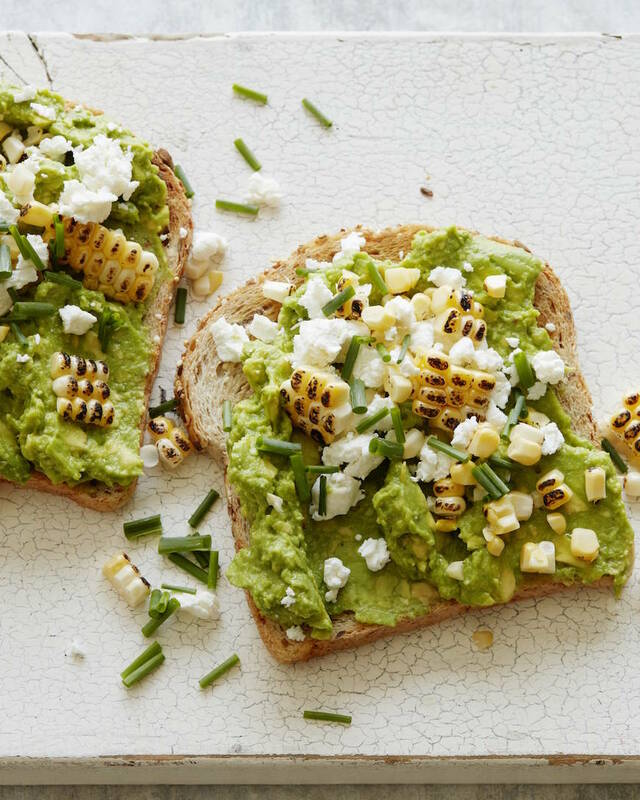 And this Charred Corn and Goat Cheese Avocado Toast needs to be in my life on a daily basis. We’ve all seen avocado toast like 100 million times, but it will never get old. I always jazz it up with different toppings, textures, and top it off with some crunchy salt and freshly cracked black pepper. It makes me endlessly happy and this is my latest ode to avocado toast. Goat Cheese. Charred Corn. Chives. Lemon. Salt. Pepper. Voila. 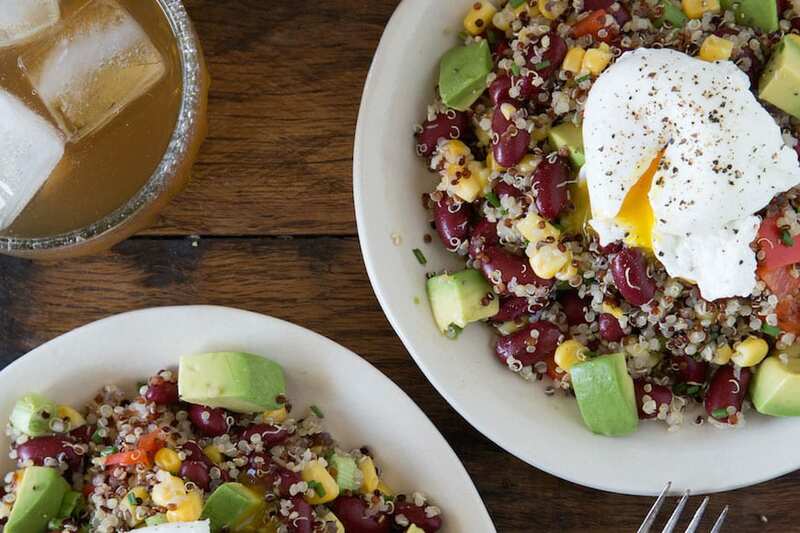 Works for breakfast, lunch or even dinner! Remove the pits from the avocado and discard. 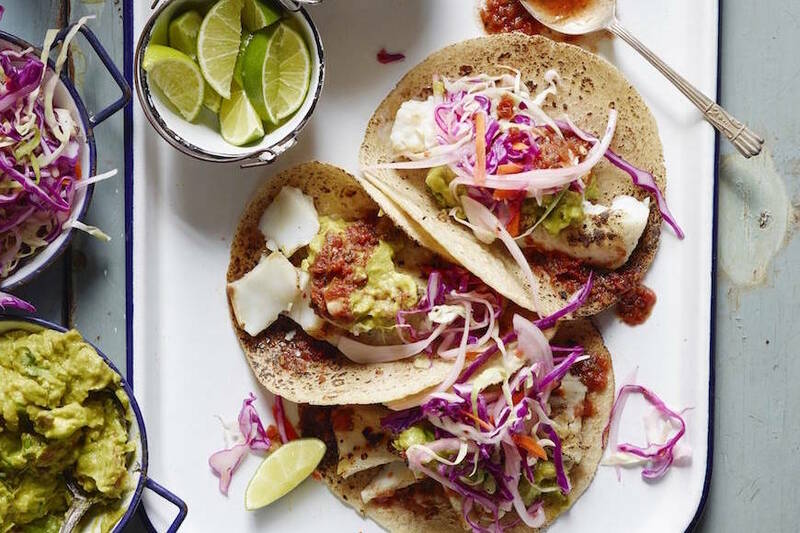 Remove the avocado from the skin and place the avocado flesh into a medium bowl and mash it with a fork and a squeeze of the fresh lemon juice. Season with salt and pepper as needed. Slater the mashed avocado on top of the toast, followed by the crumbled goat cheese, charred corn and chopped chives. Season with Maldon and freshly cracked black pepper. Serve immediately. 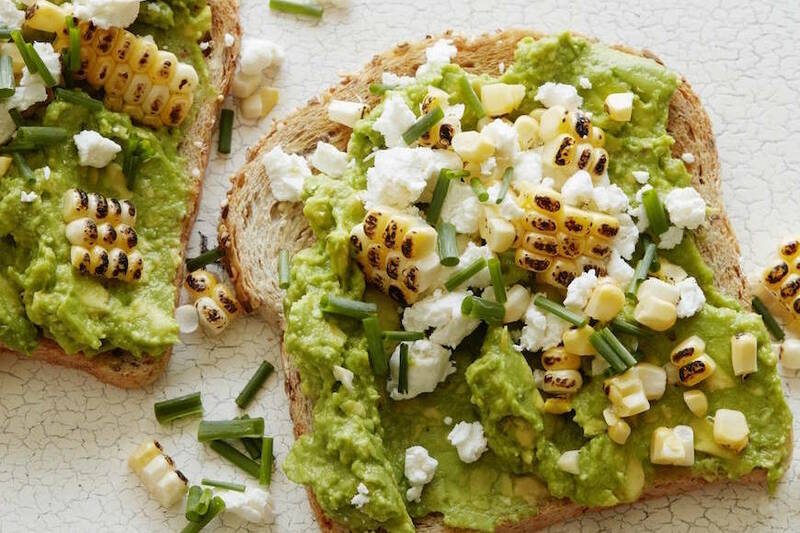 Avocado, goat cheese, & charred corn are three of my favorite things. How can I not make this??? Are you kidding me? This is great!! Breakfast, lunch or dinner! What a great combination for any meal!! Love the cheese and charred corn. Perfect with the avocado. YUM! Thats my kind of toast! Yes please!! that corn is perfect! Im right there with you, can’t wait for summer. And I agree it – avocado toast never gets old! How can it? There are way too many options. Oh geezzz, so simple yet so tasty I’m sure! I want it right now!!! This literally screams perfection to me! Who isn’t ready for summer?! Here in Milwaukee, WI where I live the weather got so cold recently that yesterday at the first sight of some nicer weather, we took out the grill – it’s like i’m willing summer into existence lol! Totally going to try these next week! oh my gosh WOW this looks amazing!! I couldn’t pin it fast enough! I eat avocado toast all the time and have added cheese before, but chèvre and corn?!? Holy YUM!! Charred corn is like the taste of the summer! Love the look of this – definitely going to try this out soon!